I am a Mary Kay Beauty Consultant and I love it! I feel so bad that many of you have experienced negative aspects of the business. It’s very true direct marketing isn’t for everyone. I find the best candidates who end up being successful are those women who have the courage and fortitude to stand up for themselves and continue building a business at their own pace. Growth potential is: your ability to properly and responsibly manage money, especially your business accounts; your own resourcefulness; your ability to listen, learn, and implement a tried and true marketing plan; and your survivability. Survivability is: do you have the inner strength to hang in there when times are tough? Every business in America has problems and personnel who don’t follow the rules and behave dispicably. Mary Kay is not exclusive in that respect. There are unscrupulous people in every facet of America business. I run an honest, upfront independent Mary Kay business. I have found I don’t need to employ predatory tactics on anyone to succeed and achieve my goals. I don’t care much what the actual prizes and gifts are monetarily worth, it matters that I am rewarded for my hard work and my time. The prizes aren’t what butters my muffin, it’s the $$$. 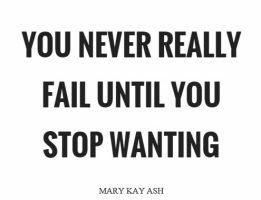 I have worked at other jobs in my life and at 37 have yet to find any job that has brought me such personal satisfaction as I have found in Mary Kay. I run into crabby, negative, and complaining consultants all the time. Life today in the world can be depressing and stressful enough. I don’t have any room or need to indulge in all of that. I surround my self with bright, supportive and stylish women. I find that helps when I need a lift. How can a company founded on ideals such as, “Enriching Women’s Lives” “Faith first, Family second, and Career third” and “the Golden Rule” be so horrible as you all represent. I have my day planned out. This way I have time for my family, my business, and my other social commitments. I’m still making $$$. Were you all forced at gunpoint to place a large inventory order. There are a lot of comments regarding pushy and forceful recruiters and sales directors. I feel if you didn’t posses the personality to stick up for youself and state with firm resolve, your business plan and that you’ll run it the way you want, then you probably weren’t cut out for this type of industry. There are some minimums. Yes, in order to stay active you must place a minimum order every quarter. If you aren’t in a position to do that, this isn’t the business for you. I live in NY were women are generally skepitcal and jaded, but I don’t let that defeat me. Fact, women spend more money on looking good every year than anything else. If I’m not proactive and organized I won’t get a slice of that revenue, Macy’s or Sephora will. I believe in what I sell therefore I don’t have to lie. I believe I am doing other women a favor by offering them the oppotunity to use great products and an opportunity to be happy and successful like me. I think a lot of the failure and harsh feelings here stem from the belief that the women you did or did not meet were doing you an favor. Somewhere in your business scheme and personal ego, there existed a great deal of doubt in your own sales ability, deficient conviction in the company and it’s products, and an absent strong inner voice. This is not criticism, merely observation. I’m flawed and certainly don’t pretend to be perfect. I hope you all find peace and solice here at this website and I respect your constitutional right to speak out. I would have enormous and profound respect if you actually posted this message. Cite your sources please. Oh and Schedule Cs for the last three years, please. I would have enormous and profound respect if she actually responded to that by doing what you asked. By the time your 2nd quarter comes around and you figure it out, its already too late. You’ve already paid for your 1st quarter order and your sign up fees, some training and marketing materials, and maybe a seminar or two. Congrats, you’ve fulfilled your MK destiny. Now on to the next victim. This is actually true. The focus is on getting the FIRST order from a consultant because it is the biggest order that the vast majority will ever place. The company knows that even if she orders again, it is going to be a very small order. Also, the company knows the longer the consultant waits to place that first order, the less she will order. Thus the pressure to order right away. Ow wow … I didn’t know that “Mary Sue” had become an IBC. And my only comment: Please show us your Schedule C for the time you have been in Mary Kay, or the last 5 years. Only if someone else is paying the rent, the utilities and buying the food and the health insurance. It’s not just women in NY that are skeptical. It’s every state, especially when the products are outdated and not up to other brands’ speed. And, as for those positive women you feel are your friends in MK? Try stepping out of the sales force and see how many are real friends. They’re all fake, fake, fake. Note: New Avon LLC is a separate entity/subsidiary of Avon Corp. and only applies to N. America as are all other non-US Avon Cos. I found by researching Avon in other countries that their product offerings differ too! PS: MK has different product lines per country too. New Avon LLC and Avon both link to Avon. Shouldn’t matter. If one drops out the new “company” shouldn’t join. Yeah, it doesn’t have anything to do with Avon or New Avon. It’s simply a different name due to a shift in ownership. To Cerberus & with a name like that perhaps a metaphor of Avon’s future. Note: In Greek mythology Cerberus is the three headed dog that guards the gates of the underworld preventing the dead from escape. 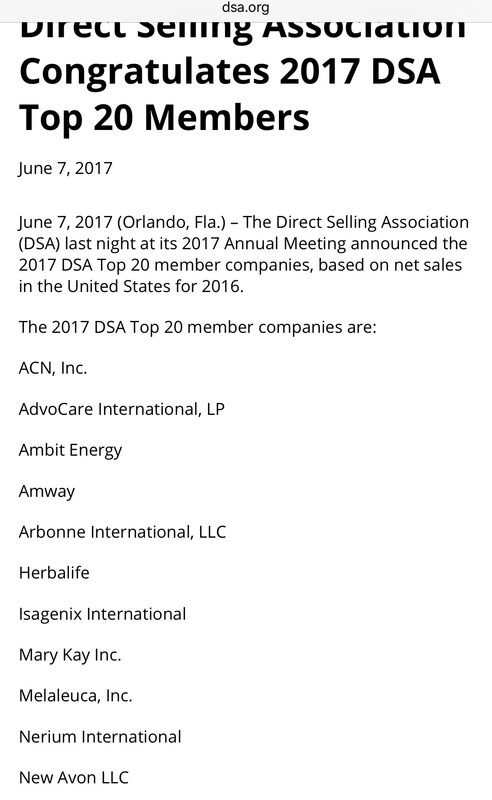 An LLC or Incorporation is legally considered ‘an individual’ therefore, while Avon Corp. is not a DSA member, New Avon LLC. is. YOU. DO. NOT. OWN. YOUR. OWN. BUSINESS. Get that through your head. You would better off owning your business and opening an Amazon Account and buy close outs on makeup and have them sent to Amazon and then ship for you. You have a better chance of making money doing that. Selling your “friends” and “family” over priced products does not make you smart. Yes, other cosmetics companies mark up their prices- they actually advertise–MK does not have that expense. MK charges you $10-$20 a month for the privilege of customers finding you on their website and for customers to possibly purchase products from you. You own nothing. Actually, you have helped many women own worthless MK inventory. If MK was so great, they would make it so not just 2% and them make money- they would make it so everyone could make money. Customers don’t wanna buy makeup off someone that will harass them for fake CONtests your “director” Isis having you do and them having to host a party so you can sell their friends & family over priced cosmetics. Shay, Well said! I think anyone who tries a ‘test run’ of retailing/selling MK without recruiting will find as I did that over a 3 month period & calculating all time invested to earn from honest sales efforts that they will only realize the ability to pay themselves ‘up to’ 10% to under 40% of the US Federal Minimum wage. The ‘big bucks’ are in the exploitation of the freedom of buyers and sellers to purchase legal products/services! Unfortunately, it is very difficult legally speaking to prove fraudulent claims when they are not in writing and much freedom for the use of verbal and psychological skill to effectively frontload a recruit in MK and other MLMs. In 1986 when I signed on and sold MK US Federal Minimum Wage was $3.35 per hour and my 3 month’s earnings average and time invested to sell to self generated and existing customers given to me ‘worked out’ to 37% of the then minimum wage-$1.25 no less for time spent calling, prepping for facial ‘parties’, drive time to and from cities within Contra Costa County as well as to those outside including Napa, Santa Clara, San Francisco, presentation time, cleanup including washing the terry facecloths and mini-bowls I bought for the kit. To me it was plain to see that this was too little pay for the effort! It was not worth my time when I had already proven as a teen that I could make over $1200 in a week selling a few Kirby vacuum cleaners going door to door-a personal property item and for further comparison of personal property (vs. ‘real property’ as land or real estate affixed to it is defined) my past experience with averaging $50 to $200+ per hour sales of culinary items in a call center with bonuses and prizes was more than enough working 3 hours in the evenings 4 days per week to cover rent of a studio sized space! PS: Most MLMs sell the opportunity and make it appear as if ‘you too can earn alot’ in a short time, but the reality is MLM works on the principle of always finding 100 to 1000 or more new ‘customer’/recruits to frontload with one time large orders and ‘bank’ on 1 out of 200 duplicating the same result. Those who are able to do it for a minimum of 5 years only begin to see 5 and 6 figure earnings with consistent application at around the 8th year onward! I can think of better, legitimate opportunities that pay well within a 3 to 6 month period! Oh, and, you forgot to share with us how you are successful and what these folks here missed. Or is that confidential, too, like your name? I’m owner of a company that manufactures screen-doors for submarines. I am honest and have courage and fortitude. I stand up for myself. I have been building my business for a few years now, but it continues to fail. What am I doing wrong? She has grammar skills. Her condescending write up is that we are the urchins and she is more of the norm in MK. Since she has her day all planned out did must of included a visit to the pink truth. That I can get excited about. It must have been on her 5 most important things to do set out the night before, so she missed out on that skin care sale that “could” have happened if she did not post on this sight. What I am saying is that the writer give the impression she is so busy – yeah right! LOL, another Red Jacket who thinks she knows it all. Enjoy your credit card debt, OP! I was thinking the same thing. She’s a red jacket who got lucky and found 3 people to sign on. I’d bet she’s only been in MK for a hot minute. I rember making it to Sr Consultant was hard because I had to change my mindset of why I should recruit. Red Jacket was really hard because people kept falling Inactive (red flag!). Then, it went smoothly to Team Leader and into DIQ because I learned how to use the right words to get them on board. So sad. Lesson: If you have to try or convince, it’s not a thriving opportunity. Success and and profit speak for themselves. And they speak loudly! Somewhere in your business scheme and personal ego, there existed a great deal of doubt in your own sales ability, deficient conviction in the company and it’s products, and an absent strong inner voice. Drones parroting the same programmed responses that every other destructive mind-control cult uses. I ran in an election as a candidate. And I found that a more positive life experience than Mary Kay and sadly that there are politicians with more integrity than my former Director. I am still patiently waiting for one of these women to do their drive by with something new. 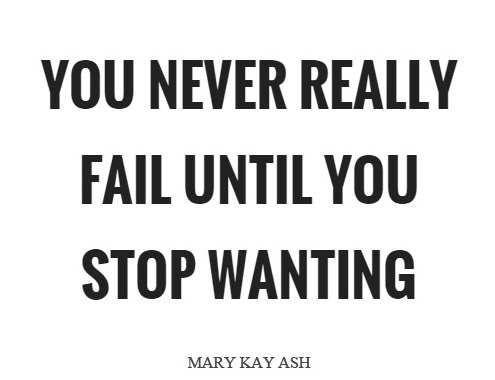 Same crap we hear from all the other people in Mary Kay that think they are about to live their dream. Ugh. They need to wake up from the dream and realize the nightmare they are creating.